While many Congress members found the film objectionable, the Bharatiya Janata Party (BJP) promoted its trailer on social media. 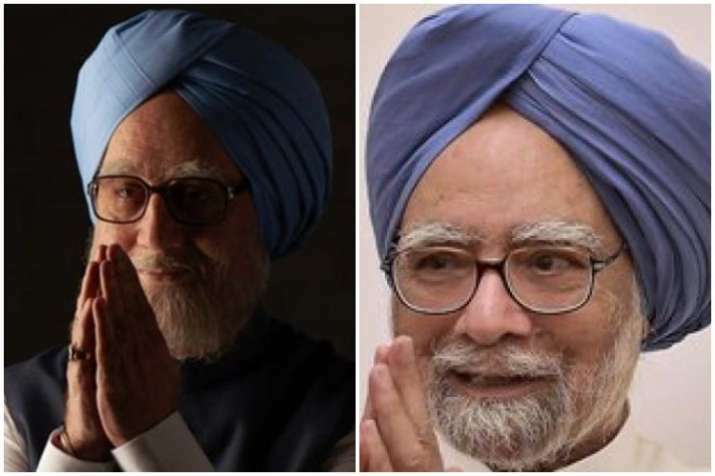 Amid the ongoing controversy over upcoming film "The Accidental Prime Minister", a biopic on former Prime Minister Dr Manmohan Singh, lead actor of the movie Anupam Kher on Friday said that after certification of a film by the censor board, nobody has the right to ask for showing the film before its release. Earlier in the day, Satyajeet Tambe Patil - President of the Maharashtra State Youth Congress, sent a letter to the producer of the film demanding a special screening before it is released. He raised objections to "incorrect presentation of the facts" in the film, the trailer of which was released on Thursday. "We have bought the rights and have followed all the legalities. Everything was in the public domain... Now, how can people have issues? Why should I screen it for anyone? We have shown it to the CBFC (Central Board of Film Certification), that's enough." "I have done more than 500 films...there are not even that many political parties. So how can one say that I made this film to support any party?" he responded when mediapersons asked if he is doing the film to extend support to the BJP. Asked if this is one of the strategies to make a political statement ahead of the 2019 elections, the National award winning actor said: "Why not? What is the problem in releasing a political film around elections? We do release patriotic films on national holidays..."
The Congress government in Madhya Pradesh said it had not banned the film in which actor Anupam Kher plays former PM Manmohan Singh. While several Congress leaders sought a ban on it or removal of "objectionable scenes", the state unit of the party said it had no comment to make as the film was BJP's "propaganda". The Department of Public Relations of the Madhya Pradesh government tweeted that there was no decision by the government to ban the film and media reports announcing a ban were not factual. The film has sparked a row over alleged distortion of facts. 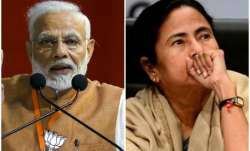 The clarification came after a section of media reported that the movie, based on a book of the same name by Singh's media adviser Sanjaya Baru, was banned in the state. The film, whose trailer was released recently, has a motley of actors playing the key players of the Nehru-Gandhi family and Kher stepping into the shoes of Manmohan Singh. Talking to PTI, Madhya Pradesh Congress Media Cell coordinator Narendra Saluja said, "This movie is part of the BJP's propaganda and tactics to divert attention from real issues. So, we don't want to comment on it." "The chief minister also made it clear that there was no intention of banning any movie in the state," he said. Earlier, Congress spokesperson Syed Zaffer, resident of Chief Minister Kamal Nath's Lok Sabha constituency Chhindwara, had said the film would not be allowed to release in the state. In a tweet, Zaffer alleged that the trailer had some objectionable scenes and "these should be removed or we will not allow to release the movie in state". He told PTI later that his demand was to remove objectionable scenes, but "it was up to the state government to take any decision about banning it". Another Congress spokesperson, Pankaj Chaturvedi, echoed the demand for cuts. "If there is an incorrect presentation of facts, such scenes should be removed," he said. State BJP spokesperson Rajnish Agrawal defended the film, pointing out that it is based on a book written by Manmohan Singh's former adviser, and "the people have right to know the truth about the UPA government, which has affected their lives". The country should know about the "interference of then Congress chief Sonia Gandhi and Rahul Gandhi" (in the government's affairs), he claimed.